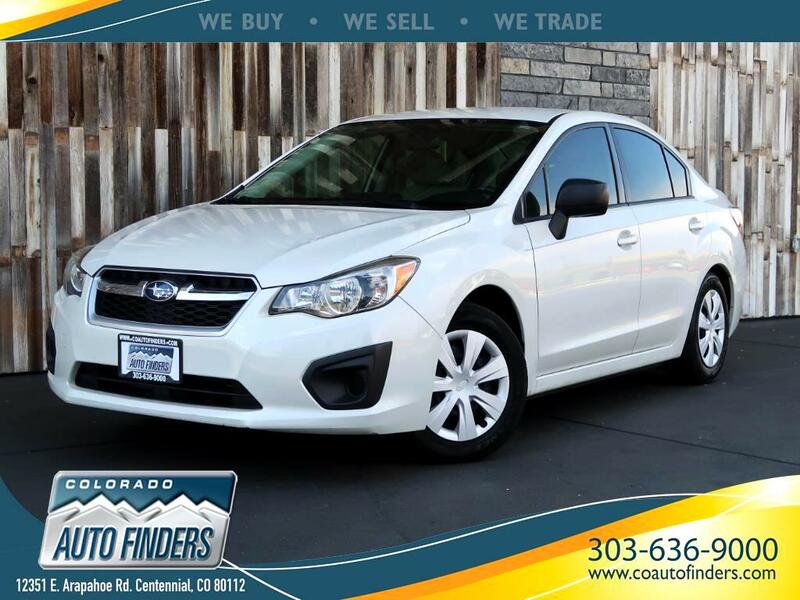 This 2014 Subaru Impreza AWD Sedan is for sale in Centennial CO. This LOW MILES Subaru Impreza comes with 5-Speed Manual Transmission, AWD, AM/FM Radio, AUx Audio Input, Cloth interior and more. Message: Thought you might be interested in this 2014 Subaru Impreza Sedan.